Monocoque carbon fiber construction, designed specifically for disc brakes. 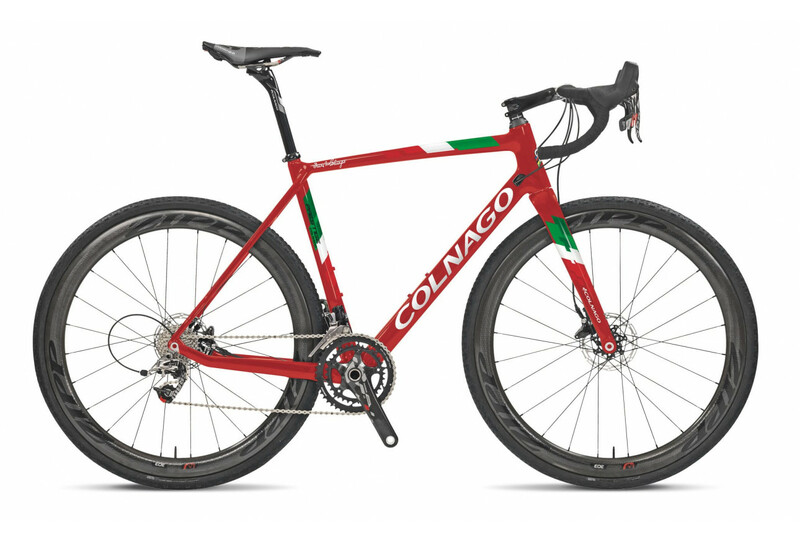 Thanks to new design standards, the weight is significantly lighter than previous versions while still ensuring Colnago’s stringent safety regulations are met. Traditional, 27.2mm diameter – lighter than an oversized post, and more comfortable. The new Prestige is the frame of the World Cyclocross Champion, Wout Van Aert – the ruler of the last racing season. Thanks to his support, Colnago has refined some details that made it possible to make the frame even more powerful, agile, and smooth on all types of surfaces. The redesigned stays favor the discharge of mud, thus achieving the best performance even on slow and heavy terrain. The Prestige was born to dominate! Standard, flat-mount disc brakes provide power, control, ease of use and safety on all terrain and in all weather conditions. Shimano 12mm thru-axle QR systems are found on the 100mm front and 142mm rear.